The advantage of having business continuity template-based forms is that you have a structure for your plan in place. You can modify each form to suit your needs or use them to create your own forms. You can also choose which forms are critical to creating a successful business continuity plan for your business or organization. 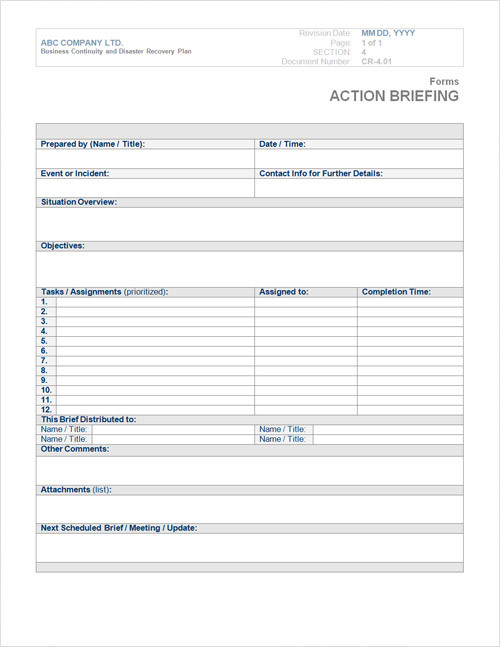 Below, is a sample business continuity plan template form created with MS Word for the Mission Critical Planner. Download the sample Word document here.